The U.S. Air Force’s last C-5A Galaxy rests before being retired to the 309th Aerospace Maintenance and Regeneration Group at Davis-Monthan Air Force Base, Ariz., Sep. 7, 2017. An unmistakable sound echoed across the sky above Westover on Sep. 7, 2017 – for the last time. 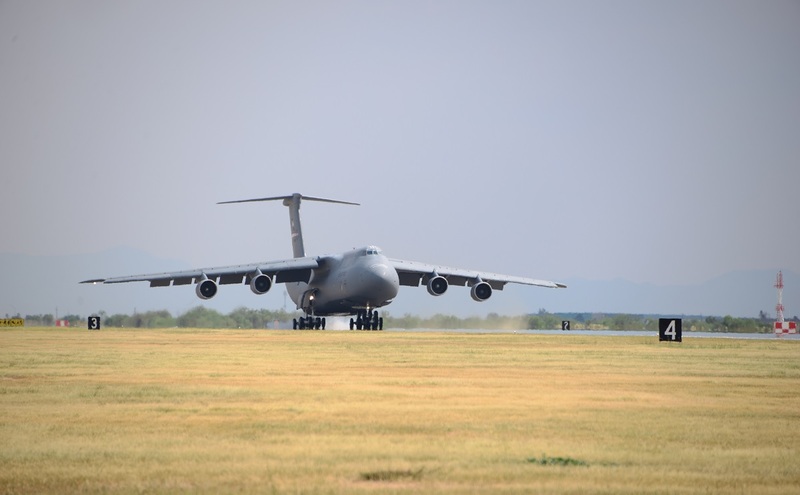 With a growl and whine so familiar to residents and the base populace at Westover Air Reserve Base, Mass., for 30 years, it was the final takeoff for C-5A Galaxy 70-0461, the last remaining A-model built and delivered to the Air Force from Lockheed. As explained by Master Sgt. Andrew Biscoe, 439th Airlift Wing Public Affairs, in the article Last C-5A flight brings nostalgia back for crew, the aircraft was among several A-models brought to Westover as the 439th AW began converting to the C-5M Super Galaxy, which includes newer, more powerful, and quieter engines. 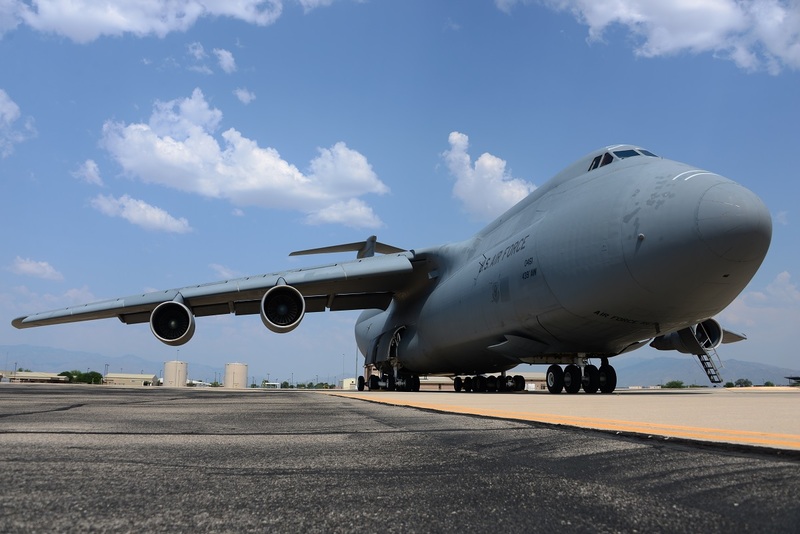 This particular C-5A was originally assigned to the 433rd Airlift Wing at Joint Base San Antonio-Lackland. Public affairs staff escorted local media from Western Massachusetts onto the flight line, for the historic departure. 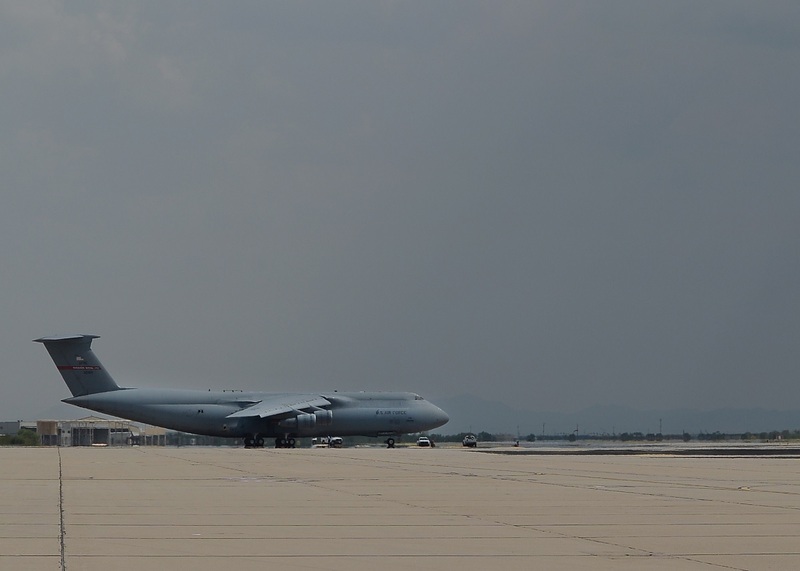 As the Galaxy taxied from its spot to Westover’s 11,600-foot runway, the cameras quickly trained on the aging airlifter’s General Electric TF-39 engines. The last spool-up of the four engines sent the giant aircraft forward, with a recent rainfall that blew across the 300-foot-wide runway. The U.S. Air Force’s last C-5A Galaxy lands at Davis-Monthan Air Force Base, Ariz., to be retired to the 309th Aerospace Maintenance and Regeneration Group Sep. 7, 2017.